I have been doing quite a bit of traveling lately and it has given me a lot of time to relax look through Skymall. And to say that I am a newbie in this area would be a lie. The Pillowtop EZ Bed: This was our first Skymall purchase and it has come in VERY handy in the last 5 years and EZ is no joke. It has also been nice to be able to hand off to friends who might need to borrow it. 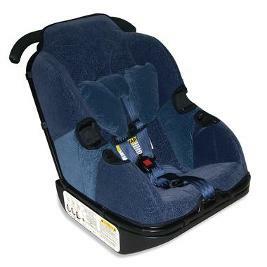 All-in-one Baby Safety Seat: So after our first Skymall love, we thought we would give it another try. We knew we would be traveling a lot more in the years to come and we kept spotting this in airports. Now its a part of our family and it has been a wonderful combo to travel with on trips. But friends - nothing, nothing, (not even the Snuggie), will compare to this Skymall purchase. My husband told me this was the BEST present that I have ever given him. And that my friends is the best compliment…EVER! So these are my NEW favorites that have caught my eye recently. And who knows, they just might make it into our home or yours in the near future! Isn’t this just beautiful? Now my taupe plastic crank one definitely holds it’s own but this antique copper one would sure look pretty in the front lawn. 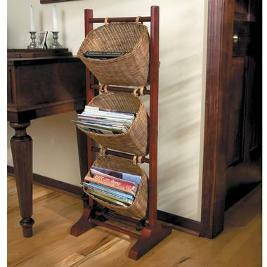 Now the great thing about this piece is that I have seen one similar at World Market for a cheaper price. I thought it would be fun to even use it for throw blankets, kids books, shoes, toys, and of course magazines. 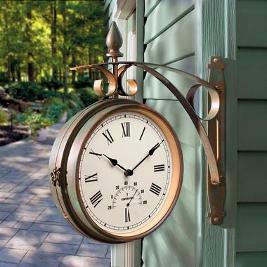 Again, just a beautiful piece that I really wouldn’t even care about the time or the temperature but it sure would look pretty on the outside of my deck. And again this weekend I’m traveling, but thankfully this time it’s by car! I’m linking up to Julia’s Hooked on Fridays Party today and I’m happy to be back after a couple weeks off! That brings back memories of my trip to Kauai in 2003. I had so much fun looking through that catalog. They have some fun stuff! This is great! Everytime we fly my husband and I look the entire SkyMall catalog together. Some great ideas…..and some very wacky and weird ideas! I just made a trip by plane this past weekend, and spent some time with Skymall as well. 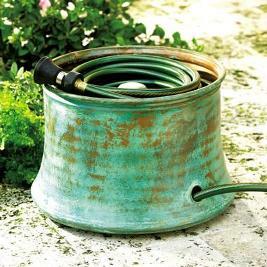 I specifically noticed that hose pot and the clock as well. 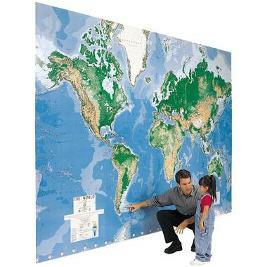 My son has been wanting that huge map for ages. There’s some great stuff in there! I have heard such good things about the carseat that strolls. I’ll have to check out Skymall again. Okay this is hilarious. My husband is a pilot and of course I see it all the time but have never ordered anything from there. 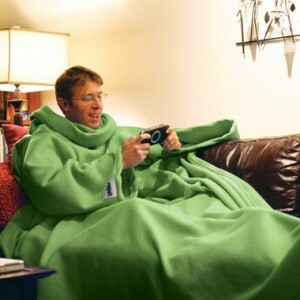 However, I believe the slanket is on the top of my list!